J. C. Watson discovered asteroid #121 Hermione. A. Kopff discovered asteroids #633 Zelima and #634 Ute. Nathan B. Stubblefield received a patent for a wireless telephone. M. Wolf discovered asteroid #870 Manto. 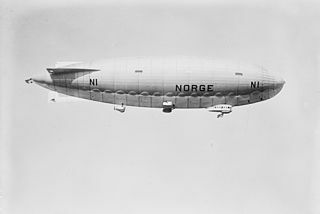 Italian Umberto Nobile, along with Norwegian explorer Roald Amundsen and his American sponsor Lincoln Ellsworth, flew the airship Norge over North Pole. The Adler Planetarium, the first planetarium in the US, opened in Chicago, Illinois. The Soviet spacecraft Luna 5 crashed on the Moon at the Sea of Clouds, instead of making its planned soft landing, when the retrorockets failed to fire. NASA's unused Lunar Module LM-2 was put on permanent display at the Smithsonian National Air and Space Museum. USSR's Cosmos 419 re-entered the Earth's atmosphere and burned up, instead of going to Mars, because of an incorrectly programmed timer. Cosmos 419, launched 10 May 1971, was intended to be a Mars orbiting mission. It is widely believed this spacecraft was launched with the primary purpose of overtaking Mariner 8, which had been launched (unsuccessfully, as it turned out) two days earlier, and becoming the first Mars orbiter. The spacecraft was presumably similar to the orbiter section of the later Mars 2 mission, a cylindrical shaped spacecraft 3 meters high with two solar panels extending from the sides, two large dish antennae, on top of retro-rockets and fuel tanks. It carried an instrument to measure solar radiation which was supplied by the French. The SL-12/D-1-e Proton booster successfully put the spacecraft into low (174 km x 159 km) Earth parking orbit with an inclination of 51.4 degrees, but the Block D stage 4 failed to function due to a bad ignition timer setting (the timer, which was supposed to start ignition 1.5 hours after orbit was erroneously set for 1.5 years.) The orbit decayed and the spacecraft re-entered Earth's atmosphere 2 days later on 12 May 1971. The mission was designated Cosmos 419. Beginning in 1962, the name Cosmos was given to Soviet spacecraft which remained in Earth orbit, regardless of whether that was their intended final destination. The designation of this mission as an intended planetary probe is based on evidence from Soviet and non-Soviet sources and historical documents. Typically, Soviet planetary missions were initially put into an Earth parking orbit as a launch platform with a rocket engine and attached probe. The probes were then launched toward their targets with an engine burn with a duration of roughly 4 minutes. If the engine misfired or the burn was not completed, the probes would be left in Earth orbit and given a Cosmos designation. The first nonstop balloon crossing of North America, by Maxie Anderson and his son Kris, in their gas balloon "Kitty Hawk," from Fort Baker, California to Ste. Felicite, Quebec, was completed after 4 days 3 hours 54 minutes in the air.